Washing: there is still about 500ppm soap in the neutralized oil from the separator. To remove the remaining soap, add into the oil about 5~8% hot water, with water temperature 3~5 ℃ higher than the oil generally. To achieve more stable washing effect, add phosphoric acid or citric acid when washing. 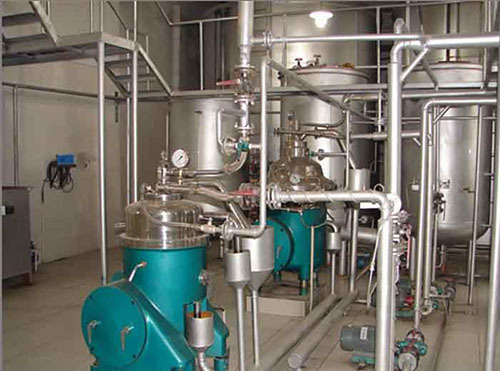 The re-mixed oil and water in the mixer is heated to 90-95℃ by the heater, and then enters the wash separator to separate the remaining soap and most water. The water with soap and oil enters into oil separator to separate out oil in the water. Further catch the oil outside, and the wastewater is discharged to the sewage treatment station.